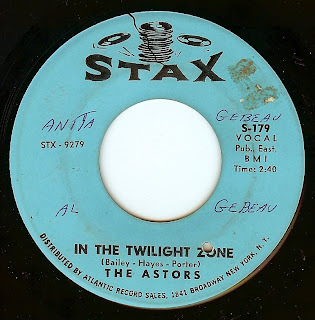 This Memphis group was formed while the guys were still in high school in the late 50's and went through a number of name changes before settling on the name THE ASTORS in 1963. During their formative years, they worked with Rufus Thomas, who helped them get their act together as performers. 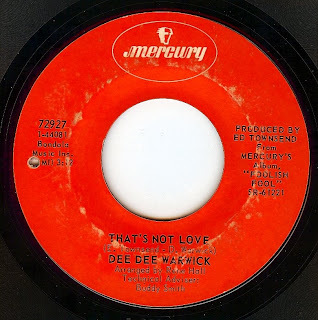 This track should have been massive, but sadly disappeared (while another record they cut for Stax, 'Candy", WAS a charting record and although solid its' nowhere near the velocity of this stomper). I haven't read anything to substantiate, but it's GOTTA be Booker T & The MG's as backing group on this one. 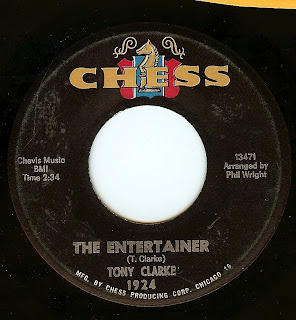 When we last heard from Tony Clarke on this blog, it was with his stormer shoulda been a hit "Landslide" (a 45 that is practically ALWAYS in my box when I DJ); this track actually was a minor chart item which should have fared much better. This song is especially poignant for those of us who do perform in a way that is hard to explain to those who don't. Very beautifully done. Too bad he died a tragically young death and never got to see how his music is still revered and loved by soul fans around the world. I am very thankful for "Sunday oldies" radio programming; not only here in the bay area (with the strong lowrider community, there is a certain style of r&b oldies that are favored) as well as when I lived near Chicago (I was in a band that practiced on Sundays so my soundtrack to the drive was always "Dusty Sundays"). These programs have been very helpful not only in my musical education but also in reminding me of tracks that I either didn't appreciate in full before or was reminded of again. My Sunday entries are always a tribute to this type of radio programming. Last Sunday, my lady friend and I were driving and this gem popped out of the speakers. I knew the song, but it took me a while to remember who it was. I always chuckle at myself when I know I HAVE a record but can't remember who it is! So I had to do a google search and realized, "Oh yes, the CASINOS". Of course it was sitting on my 45 shelf! This is an absolutely gorgeous track from an all-white group from Cincinnati. This song has the feel of a William Bell number, and it's no surprise that he cut it as well. All I'm gonna say, first off, is I was gonna post "Never Can Say Goodbye" by the J5 today but everyone has heard it before and there are plenty of other tributes out there so back to regularly scheduled programming. 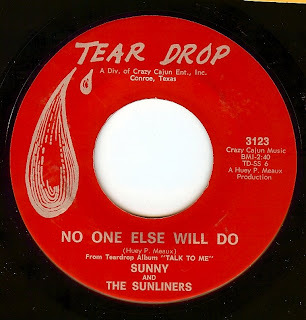 This is one of my favorite recent finds, from Tex Mex Sunny Ozuna, who is guaranteed to always BRING IT. Sky Saxon, you will be missed. RIP, psychedelic voyager. 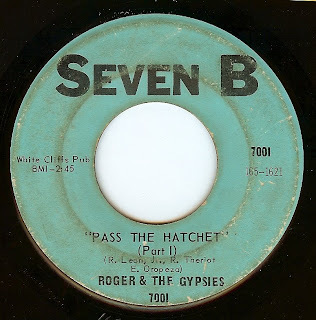 Yet another great group from Detroit that, after an initial, late doo-wop era cut ("I Love You" which was a minor hit) could never acheieve success, even with top-notch material such as this. 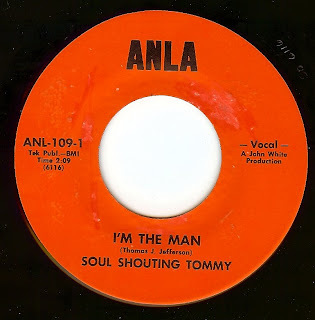 It always amazes me when I go to do the daily entry on a record that is highly revered in certain circles (in this case, this tracks has been a northern soul fave since the early '70's) where there is basically no information on the artist (and for that matter, the producers and writers of the track). 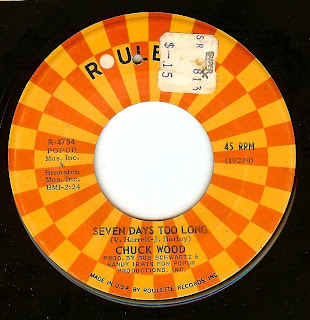 Perhaps it's a one off, but the name Chuck Wood turns up on other records (who knows if it's the same person? From what I understand, those other ones are pretty lousy). 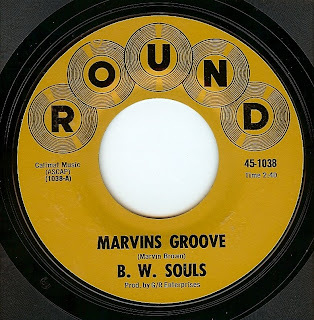 THIS record, has it all; a classic stomper on the a side, and a gritty, down home funky r&b track on the b-side. Pure record heaven! Also note the price tag on the label; some lucky cuss got this record for fifteen cents once! Oh, to be able to go back to the early 70's record remainder bins when nobody but the english were buying 60's soul records. First off I gotta say that when this record arrived in the mail on Saturday I listened to it five times in a row at wall rattling volume. I don't want to tell you what to do, but it was practically a religious experience for me. 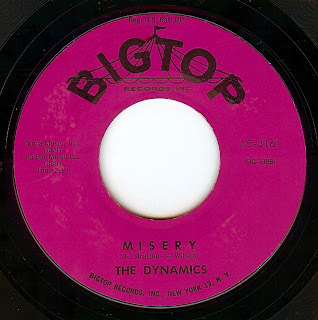 This band was formed in Cleveland in 1967, and Eric Carmen joined later in the year when he was turned down to be a member of (other huge local band) The Choir. 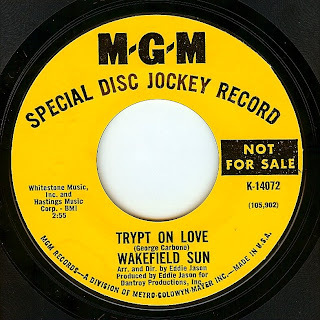 Eric also snagged guitarist Wally Bryson (fresh out of the Choir) to join Cyrus Erie, and Cyrus Erie became a local phenomenon, covering the likes of the Who and Small Faces in addition to their originals. 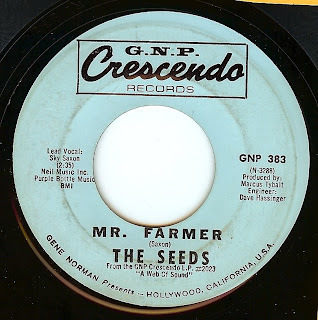 The band was scooped up by Epic records who tried to squeeze a more commercial and polished sound out of the band ("a" side of this single is the result, 'Sparrow" which is OK but not the MONSTER cut that this is). Legend has it this song was cut in hastily in very little time. Shows how incredible they must have been as a live band, as this track is on the same level as the best of the British r&b (they were aping) of the Pretty Things, Who and Small Faces. Thanks a million to my friend in Chicago, eric Colin, for hipping me to this one. 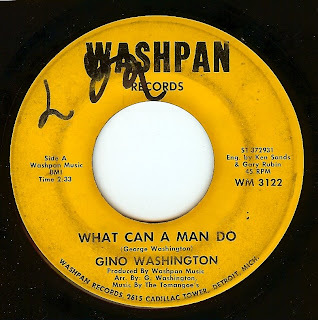 While Detroit wildman Gino Washington tends to remembered most for his uptempo floor shakers, this deep cut is one of his standout records. I especially love how the drum fills keep the record moving and Gino pushes his voice over the edge! Absolutely sublime & cookin' r&b from this brilliant Texan-transported-to-Chicago guitarist and singer. 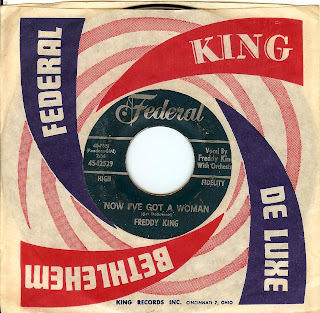 Freddy's family moved to Chicago in 1950 when Freddy was 16, and he spent many hours combing the blues clubs and hearing Muddy Waters, Little Walter, and all the other Chicago greats. 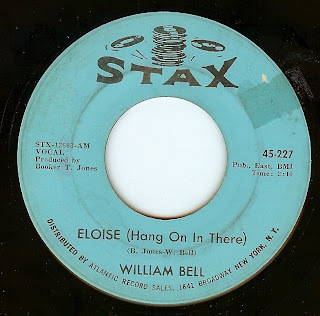 He soaked it all in and when he began recording, laid out his own style which was very urban and took strong influences from the danceable r&b grooves which crossed over at a time when blues was waning in popularity. Been a few weeks; time for an Eddie Bo fix! This record is dripping with funk, and it's surprising that it wasn't cut a few years later. 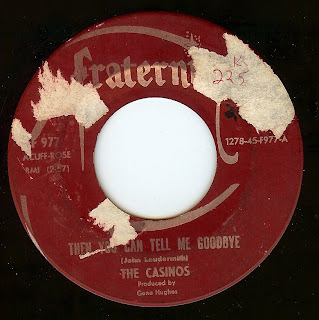 The legend goes that a session for white New Orleans group Earl Stanley & The Stereos wasn't going well, so Eddie and Tommy Ridgley were brought into the studio to rearrange the track. The pair were not credited on the record, sadly, but the influence of Bo is unmistakable, and that's him delivering the lyrics. As I've said previously, the only thing that seems like work in maintaining this blog is simply deciding which record I want to feature! The backlog of 45's that I have ripped into MP3's as potential daily features is nearing the 1000 mark right now, added to the mania of always getting new stuff (and I'm not bragging about my OCD behavior; just glad and lucky that I have a wonderful girlfriend who understands). There was no doubt that I needed to feature this heater today, as it just arrived in the mail yesterday. There was NO WAY I could sit on this one! Completely mysterious (possibly New Orleans, as the label was in LA) this record is yet another gem that I feel lucky to welcome to my shelves. Oh what a great song. What a SMOKIN' vocal performance! 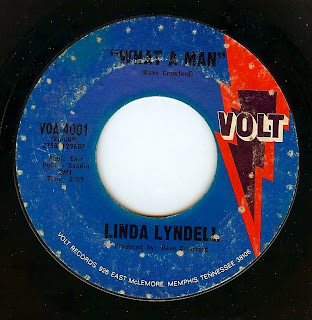 Linda Lyndell was from Florida and was (correct me if I'm wrong) the only white female singer signed to Stax/ Volt before 1970. This song went nowhere on the charts when it was released, but of course in the 90's the remake/remodel by EnVogue went mega huge (and it's not half the record that this is, IMO). First off, let me say that the error which made it impossible to download yesterday's entry (the first rock DJ set) has been fixed and it is now fully downloadable. 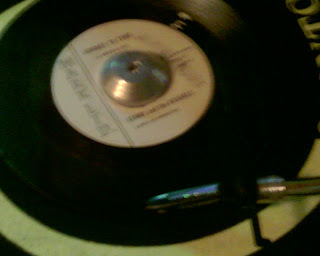 While instrumental funk 45's are certainly not my specialty, when I like 'em I love 'em. This one has it all; superb drum breaks and it grooves like a mofo. 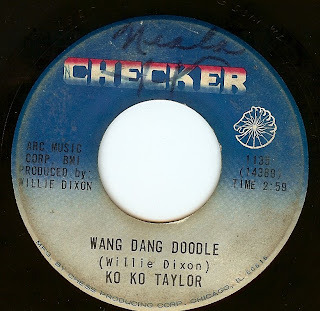 Possibly a west coast record (no one seems to know), and one of the easier "rare" funk 45's to find (allegedly a big stash of new-old-stock copies were found a few years back). This stomping Stax track from a man better known for his deep cuts is one that seems to be overlooked by many. A crime, as it's a great song and just seems right for a Monday morning. This past Saturday, a very good friend had a birthday bash and her party theme was rock n roll. I was a bit nervous putting together sets because I've NEVER played all rock sets before. I didn't think it would be possible to avoid soul or funk and keep a party "up" but I think these were alright, and people were dancing just about all night til about 4 AM! I have to admit, it was lots of fun and I wouldn't object to doing it again, although there were times that I was just DYING to throw in some soul faves. So hopefully these will help fight the Monday blues for those of you at work needing something to groove to. Email me (dereksdaily45@gmail.com) if you need a track list. WARNING: these are BIG files so they will take a little while to download. As always, these sets are strictly from vinyl and there is no post trickery of any sort. Sister of Dionne, Dee Dee had a tumultuous life that including a career in the studio group which became the Sweet Inspriations, then a death last year brought on allegedly by narcotics problems. Aside from all of this, this particular cut shows her voice in incredible power and emotion. The actual "a" side is a very excellent cover of the Sly & The Family Stone hit. We know they were from Detroit, and that's about all. 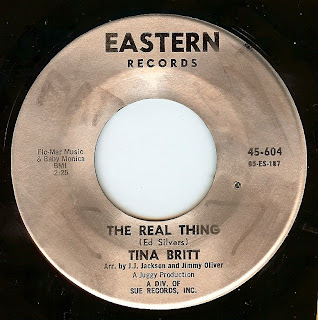 Tina is another artists who, although she recorded more than a few records and was also in with producer Juggy Murray, remains a mysterious enigma. This was her first release. Much has been written about how the High Numbers (the earliest incarnation of the Who) pilfered this song to become the b side of their debut single ("Zoot Suit"). Anyway, this is a great stomper (almost a garage record but with way better singing and musicianship than most garage records). A very mysterious record that no one seems to know anything about; produced by the legendary Chicago DJ/ producer Bill 'Bunky" Sheppard, this seems to be the only release from this group. ...but you won't if you keep collecting records, hahahahaha. Can't find much info about this band, other than that they were from Cleveland, OH but this is such a cool burning track and I just love it. 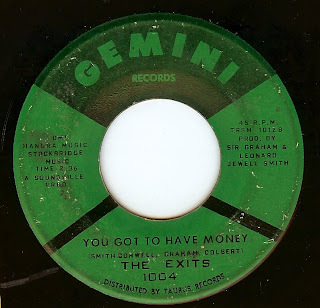 I have also been waiting to feature this one as it's the appropriate time to show a Gemini label (of which I am one) so here's a shout out to all the fellow Gemini's in the house. Beautiful label, isn't it? 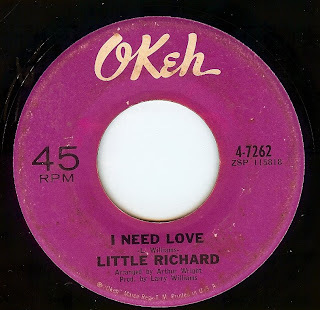 Little Richard cut some great sides in the period after he went lighter on religion and went back to the devil's music (including the great deep soul cut "I Don't Know What You've Got'...which features Hendrix on guitar) but it took Larry Williams as producer to get some of that old fire out of the Georgia Peach once again. 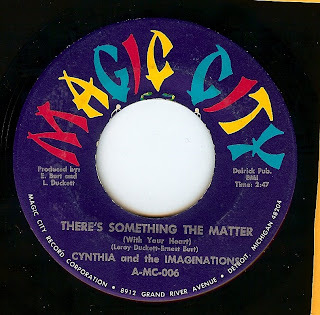 This cut 45 is one of the many great cuts from 1967's "The Explosive Little Richard" which, as my friend Major Sean once said "You can just put it on when you're DJ'ing and walk away." 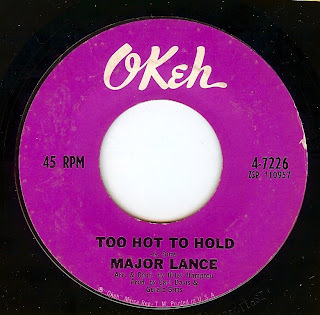 Practically every cut is a great dancer, but Okeh records chose wisely when they issued this one as the single. Super hot stuff. Ko Ko, you will surely be missed. This song has been butchered by far too many lame bands, but hearing the original again reminds me about how this is one of the all time most killingest jams there is. Willie Dixon's lyrics are practically a novel, but how many writers can be THAT quick with developing characters? Ko Ko's vocal performance is top notch to say the least. 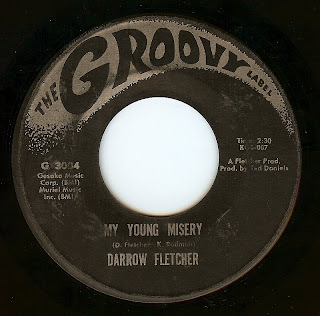 I couldn't resist featuring another brilliant Chicago soul record today; the music of this city is a hard habit to break. 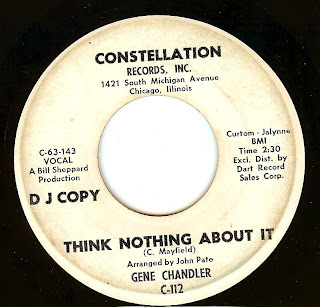 Just like peanut butter and chocolate, put Gene Chandler together with Curtis Mayfield (here on backing vocals and guitar) and a beautiful mix it is! 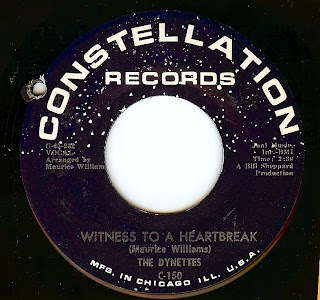 Another brilliant track from the days when record row in Chicago was firing out hit after hit of sublime Chicago soul. 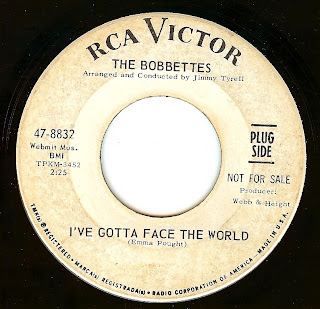 Sometimes it's all about crazy determination when it comes to hunting down these 45 RPM gems. This is a record that's been escaping me for some time. It's so GOOD that it really bugged me that I kept getting outbid by pennies the few times a year that it came up for sale. 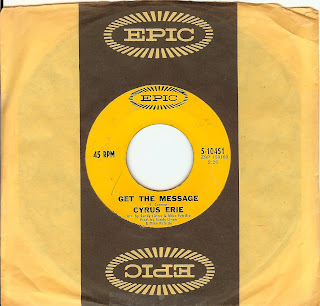 The last copy was up on ebay in January and the auction ended at the moment I was about to head in to band practice; luckily, I just got web access on my phone so I was able to log into ebay and bid. Alas, outbid by a mere 5 cents. Imagine my excitement recently when I won this copy, and for a fraction of what it usually goes for (perhaps because the seller listed the still great but less desirable side????). In opening the box, my heart sunk when I saw that there is a massive edge warp that made the record unplayable. I won't get into the saga of jerk-ness that the seller exhibited, but I will say that I was DETERMINED to make this record play. Previous attempts with low heat in an oven with a record between two pieces of glass resulted in a melted, shrunken 45 (luckily nothing too valuable) so I wasn't gonna do that again. So I spent my day on Sunday thinking about heat sources. A Hair dryer! Worried I was gonna crack it , I fired up the hair dryer and heated the outer edge til it was flexible, then held the edge down TIGHT. I let it cool, threw it on the turntable and while there is still a lift, the beauty PLAYS!